why else would we have the recent Russian school siege bloodbath, 9/11 episode, india-pak and countless other wars. ...because we are animals who have the ability to think. On the other hand, many animals eat their children. Whether you think in advance of doing it or not, it's kind of, well, gross. This is the cutest picture i have ever seen!!! 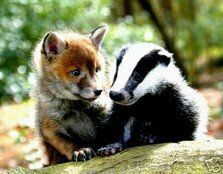 The animals are soooo cute!!!! oohh...that is soooo cute! really! where did you get all those pictures? 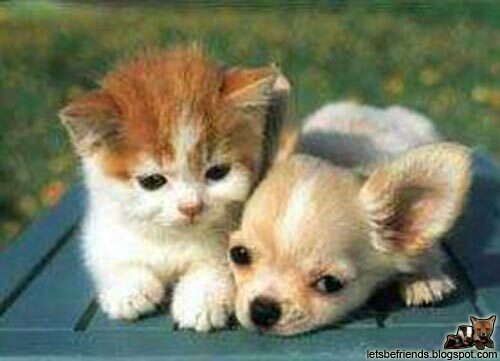 this is definately the cutest picture of a dog and cat i have EVER seen!!! alexa is cool. nic pic of yourself, alexa, by the way. caring for baby kitten surfing tonight looking at caring for baby kitten info, I happened across your blog. I had to say that I agree with it all! Now back to my search for caring for baby kitten information! i love getting old-many animals eat their children thinking they are protecting them..humans on the other hand, abuse their kids KNOWING they're not! Why can a cat and a dog be frenz n we as human always fight with others?